2019 C300W4 $43,400 989 Emerald Green Metallic $720 101 Black MB-Tex Options P01 P01 Premium Package: SiriusXM(R) Radio w/ Free Trial Term, HANDS-FREE $1,050 P17 HANDS-FREE Comfort Package 536 SiriusXM(R) Radio w/ Free Trial Term 871 HANDS-FREE ACCESS 881 Electronic Trunk Closer 889 KEYLESS-GO(R) 319 319 Exterior Lighting Package: LED Intelligent Light System, Adaptiv $900 608 Adaptive Highbeam Assist 640 LED Intelligent Light System 320 320 Multimedia Package: COMAND(R) Navigation including 3 years of Map $2,600 448 TOUCHPAD 502 Navigation Map Updates included for 3-years 531 COMAND w/Navigation and Voice Control 859 10.25 Center Display 996 996 Parking Assistance Package: PARKTRONIC w/ Active Parking Assist, $1,090 P47 Parking Package 235 PARKTRONIC with Active Parking Assist 501 Surround View System H07 Dark Brown Linden Wood Trim L3B Heating for Multifunction Steering Wheel R02 All-Season Tires R86 18 Multispoke Wheels w/ Black Accents $500 U25 Illuminated Door Sill Panels 01U USA Code 234 Blind Spot Assist $550 273 Control Code 367 Live Traffic 413 Panorama Roof $1,000 443 Heated Steering Wheel $250 464 12.3 Digital Instrument Cluster $750 485 Comfort Suspension 51U Black Fabric Headliner 873 Heated Front Seats $580 877 64-Color Ambient Lighting $310 897 Inductive Wireless Charging & NFC Pairing $170 SUBTOTAL $53,870 DESTINATION &DELIVERY $995 TOTAL $54,865 *Pricing is subject to change. Mercedes-Benz reserves the right to make changes without notification. 2019 C300W4 $43,400 989 Emerald Green Metallic $720 101 Black MB-Tex Options P01 P01 Premium Package: SiriusXM(R) Radio w/ Free Trial Term, HANDS-FREE $1,050 P17 HANDS-FREE Comfort Package 536 SiriusXM(R) Radio w/ Free Trial Term 871 HANDS-FREE ACCESS 881 Electronic Trunk Closer 889 KEYLESS-GO(R) 319 319 Exterior Lighting Package: LED Intelligent Light System, Adaptiv $900 608 Adaptive Highbeam Assist 640 LED Intelligent Light System 320 320 Multimedia Package: COMAND(R) Navigation including 3 years of Map $2,600 448 TOUCHPAD 502 Navigation Map Updates included for 3-years 531 COMAND w/Navigation and Voice Control 859 10.25 Center Display 996 996 Parking Assistance Package: PARKTRONIC w/ Active Parking Assist, $1,090 P47 Parking Package 235 PARKTRONIC with Active Parking Assist 501 Surround View System H07 Dark Brown Linden Wood Trim L3B Heating for Multifunction Steering Wheel R02 All-Season Tires R86 18 Multispoke Wheels w/ Black Accents $500 U25 Illuminated Door Sill Panels 01U USA Code 234 Blind Spot Assist $550 273 Control Code 367 Live Traffic 413 Panorama Roof $1,000 443 Heated Steering Wheel $250 464 12.3 Digital Instrument Cluster $750 485 Comfort Suspension 51U Black Fabric Headliner 873 Heated Front Seats $580 877 64-Color Ambient Lighting $310 897 Inductive Wireless Charging & NFC Pairing $170 SUBTOTAL $53,870 DESTINATION &DELIVERY $995 TOTAL $54,865 *Pricing is subject to change. 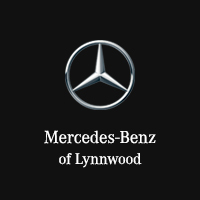 Mercedes-Benz reserves the right to make changes without notification.